At the Heart of the Journey TomTom is the world's leading supplier of in-car location and navigation products and services focused on providing the world's best navigation experience. Our products include portable navigation devices, smartphone apps, GPS sports watches, in-dash infotainment systems, fleet management solutions, maps and real-time services, including the award winning TomTom HD Traffic. TomTom is the world's leading supplier of in-car location and navigation products and services focused on providing the world's best navigation experience. Our products include portable navigation devices, smartphone apps, GPS sports watches, in-dash infotainment systems, fleet management solutions, maps and real-time services, including the award winning TomTom HD Traffic. 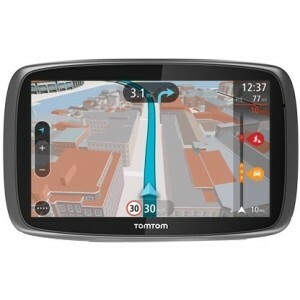 General Information Brand Name:	Tomtom Manufacturer Part Number:	1FA6.069.00 Manufacturer:	TomTom International BV Product Line:	GO Product Model:	600 Product Name:	GO 600 Automobile Portable GPS Navigator Product Type:	Automobile Portable GPS Navigator 1 Year RTB Warranty!